What a relief. 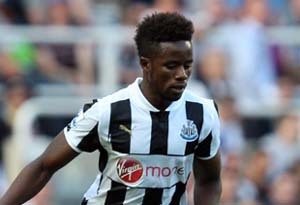 NUFC have stopped the rot of 4 straight defeats, got a clean sheet and scored three well worked goals in the 3-0 victory over Wigan. What is even more of a relief is the system and the strategy used for the Monday night win. The 4-3-3 has been begged and pleaded to come out of retirement by myself and others this season because it is the system that suits our players the best. Against Wigan we finally used it properly, passing the ball to each other and created space with movement and fluidity, as the players were completely comfortable playing in positions that suited them as well as the team overall. Hallelujah! We were far from perfect but it was a damn sight better than kicking the ball long, bypassing midfield altogether, into the two strikers. This way of playing is rigid, lazy and has no place with the type of players we have. I never want to see us play like that ever again. Hopefully the penny has finally dropped with Alan Pardew but we will only know over the next month. It wouldn’t surprise me if he decided to go back to hoofball. He’s done it before. Our task last night was also made a hell of a lot easier with Wigan going down to 10 men very early on in the game, so we can’t really judge properly if this game will turn around our season. But a 3-0 win is a 3-0 win and nobody is complaining. What Monday night did was also remind me why I have gone completely cold to Alan Pardew and find it very difficult to warm to him again. At half time when we were 2-0 up at home against 10 men of Wigan’s quality, he sent the team out in a very Pardew like fashion of ‘let’s hold onto what we’ve got’. I despise this negative attitude and mentality. It drives me up the wall. Wigan couldn’t have been more there for the taking but we stood off them and laboured our way to the final whistle. Wigan ended the game with 50% possession. How can this be? They had 10 men for 78 minutes in our stadium. Incredible really. Ever since AP has got his hands on this team he has introduced this negative way of thinking. It’s infectious. It doesn’t do us any favours whatsoever. We did it countless times last season and got away with it. The Wolves 2-2 draw was the best example to use as to when it doesn’t come off. How we failed to win that game against the worst team in the league being 2-0 up beggars belief. How Wigan arguably outplayed us on Monday night is similarly mystifying. An explanation would be in the second half we worryingly looked like we had reverted back to 4-4-2 as Jonas did his deep lying winger routine and Bigirimana seemed to be on the right wing. If being outplayed with 10 men doesn’t prove 4-4-2 is diabolical, I don’t know what will? However, I am not going to lay into the team or Pardew too much as I can fully understand us not wanting to over exert ourselves given our injury problems and mass of games at the minute. Santon and Demba Ba hobbling off with muscle strains proved it. 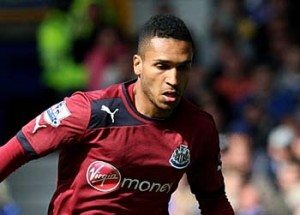 Hopefully both players will be back for the trip to Fulham next Monday as well as Ben Arfa and Obertan recovering from their injuries. Given Fulham’s lack of form at the minute if could be a great chance for us to win and create a gap from the relegation zone with Man City home, as well as Man Utd and Arsenal away to come before the end of 2012. 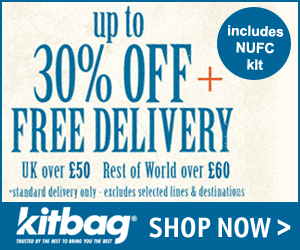 Get up to 30% off Newcastle kit in this great Xmas offer at Kitbag, plus free worldwide delivery.